The North American Free Trade Agreement (NAFTA) has been critiqued as merely serving U.S. and Canadian interests, while making the rich richer and only providing marginal, geographically isolated benefits to the poor in Mexico. Although NAFTA promised to decrease migration to the north, increase foreign direct investment, and provoke universal economic prosperity in Mexico, such outcomes have not materialized. The agreement, however, has undoubtedly facilitated U.S.-Mexican trade. As former Mexican Foreign Minister (2000-2003) Jorge G. Castañeda argues, “NAFTA brought neither the huge gains its proponents promised nor the dramatic losses its adversaries warned of.”[i] Still, NAFTA has contributed significantly to one market in particular: the illicit drug trade. While NAFTA can by no means be identified as the principle cause of the drug violence in Mexico, it has certainly attributed to increasing drug traffic over the border through its implementation of free-market reforms. However, this did not come as a surprise. In his book, Border Games, Peter Andreas reveals that “[p]ushing NAFTA through Congress…required deflecting concerns that opening the border to legal trade might unintentionally open it to illegal drugs.”[ii] He expands upon this by noting that law enforcement officials who initially made this argument were silenced. As a pressing security concern in the United States, illegal drug trafficking and the resulting violence has become one of the most popular and contentious research topics in academia. This analysis will, first, examine how drug trafficking organizations (DTOs) are able to obtain and maintain power within the state system. Second, the study will scrutinize NAFTA’s affects on the drug trade. Finally, policy implications will be offered that could increase cooperation in pursuit of a North American solution to the security threats arising from drug trafficking. DTOs are able to use profits from illegal sales to gain social and political capital through plata (“silver,” or money) by providing public goods (i.e. employment, education, medical care, religious opportunities, security, etc.) to the community that the state is incapable of delivering. Additionally, DTOs bribe corrupt politicians to support or overlook their operations by offering monetary incentives or political support (i.e. providing votes or targeting opposition members). However, operating within an illicit economy enables DTOs to act outside the rule of law. This grants DTOs the option to act violently, should plata be unsuccessful, to obtain the social and political capital necessary for survival through plomo (“lead,” or bullets). NAFTA has only further enables Mexican DTOs to prosper. Drug trafficking is a multi-billion dollar business in the global illicit economy. The United Nations Office on Drugs and Crime estimates that the North American market for cocaine alone totaled approximately $35 billion USD. [iv] Given such significant profits, the DTOs prefer to purchase the support of corrupt public officials as well as the social capital necessary for their operational success. Michael Kenney defines this as the “power principle.”[v] The power principle maintains that the survival of illicit organizations is dependent upon the accumulation of and access to power, notably political power. Consequently, when plata is not accepted in illicit transactions, or individuals renege on their commitments to the DTOs, the organizations incorporate plomo to invoke fear via threats or violence in order to acquire the necessary power. Prior to 2000, the Partido Revolucionario Institucional (Institutional Revolutionary Party, PRI) regime (1929-2000) co-opted the major DTOs into its corporatist system. This relationship proved to be mutually beneficial as the PRI achieved stability through managing the drug trade by empowering a small number of DTOs. These DTOs benefitted from the political power afforded to them, and also the exorbitant profits available in the drug trade. In return, the DTOs aided the PRI to remain in power by targeting the political opposition, leading to endemic corruption in the Mexican political system. Following the transition to democracy in 2000 with the election of the opposition Partido Acción Nacional (National Action Party, PAN) candidate Vicente Fox, the new system allowed Mexico to initiate a drug war against the DTOs, appealing to U.S. pressure. With Washingon’s support, the Mérida Initiative effectively militarized Mexico’s Drug War and through decapitation tactics, targeting the drug kingpins, successfully ruptured the four major DTOs: the Tijuana/Arellano-Felix organization (AFO), the Sinaloa Cartel, the Juárez/Vicente Carillo Fuentes organization (CFO), and the Gulf cartel. Under the Fox administration, the institution of democratic processes made corruption less tolerable in the Mexican political system. Thus, plata became less effective to win the support of public officials. However, this change has produced a new threat. The DTOs adapted structurally by fragmenting and diversifying their illicit activities beyond the drug trade to include kidnapping, extortion, weapons trafficking, and money laundering. This also led the DTOs to become extremely violent, using this as a tool to gain power between and within organizations as well as in the state system. Flaring violence and growing economic capacities allows DTOs to continue embedding themselves within Mexican society as well as the state security apparatus, obtaining notable political capital, and establishing narco-states within the country. Today, differentiating between the DTOs and authorities has become practically impossible, particularly at the municipal state levels. In 2013, about 350,000 loaded truck containers, 442,000 loaded rail containers, over 1.2 billion personal vehicle passengers, and more than 41 million pedestrians crossed the U.S.-Mexican border. [vi] Exports from Mexico to the United States increased from $51.6 billion USD to $280.5 billion USD between 1994 and 2013, an increase of 444%. [vii] Whether by train, truck, or foot, the amount of traffic crossing the border has increased exponentially since NAFTA came into force on January 1, 1994. It is not surprising that the flow of drugs has also increased. As of 2003, only 12.1 percent of all containers entering the United States nationwide were actually inspected. [viii] While an impressive number of containers are being searched, given the amount of total trade across the border, there remains ample opportunity for the smuggling of illicit materials. Despite the successes of NAFTA in increasing U.S.-Mexican trade, its failures have ultimately exacerbated the drug trade today. This further emphasizes the ambiguity in the relationship between the state and the DTOs. Even though state policies threaten the existence of DTOs, these organizations cannot survive without state support. Andreas labels this as a paradoxical “state-smuggler” relationship. [ix] NAFTA has manifested as state action inadvertently supporting the DTOs. Increased U.S.-Mexican trade resulting from NAFTA has benefitted regions primarily along the border in the northern regions of Mexico. In Ciudad Juarez and a number of other border cities, the income per capita hovers around $10,000, primarily due to the economic boost from the maquiladoras operating in the free-trade zones, which import raw materials duty- and tariff-free in order to create finished products that are then exported. Contrarily, the average income per capita for the rest of the country is about $7,000. [x] The southern Mexican states remain less industrialized and widely impoverished, suffering from inequality. One of the most notable components of NAFTA targeted the communal land sharing system, ejido, established under Article 27 of the 1917 Mexican Constitution. During the NAFTA negotiations in 1991 under President Carlos Salinas de Gortari, the Constitutional right to ejidos was eliminated. 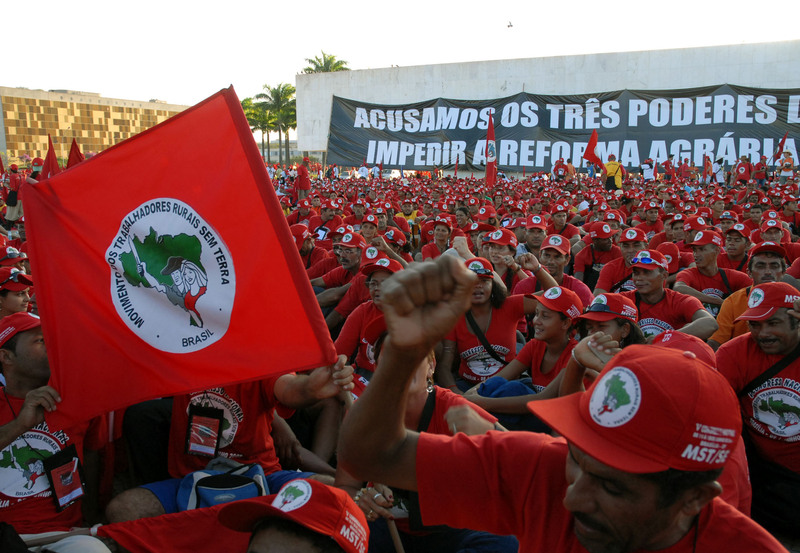 Despite ejidos continuing to be recognized, the state removed subsidies to farmers, and eliminated government price regulation for the poor. Consequently, prices of basic foodstuffs increased dramatically. Mexico, previously self-sufficient in food security, must now import cheap foreign products, primarily from the United States, where farmers benefit from state subsidies. The upper class in Mexico has benefitted from the country’s efforts to attract foreign investors by privatizing the economy under the neoliberal program. By excluding Mexico’s south from these benefits, the ensuing inequality has contributed to the success of the DTOs, particularly in the states of Guerrero and Michoacán. Without opportunity to participate in the formal economy and earn a satisfactory income, NAFTA has created a network of disenfranchised individuals for the DTOs willing pursue profit in the illicit economy, rather than the formal economy. Whereas Mexico supplies the U.S. drug demand, the United States, with its comparatively lax gun laws, participates in the “smuggler relationship,” providing the Mexican DTOs with the weapons used in plomo. 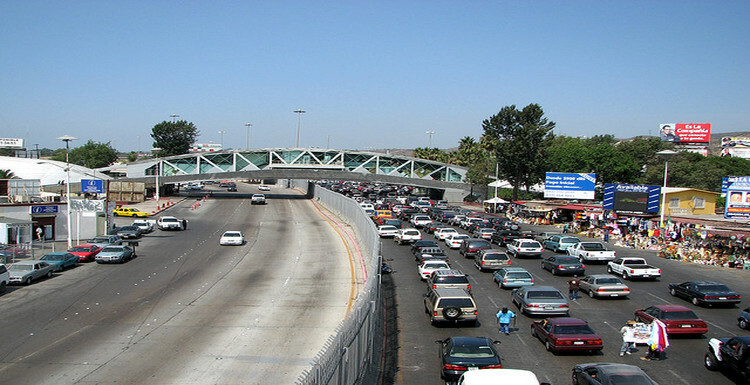 DTO agents frequently travel across the U.S.-Mexican border on drug runs to satisfy the U.S. drug demand. The income generated from successful drug deliveries is often used to purchase weapons in southern U.S. border counties, but also Central America, which are then smuggled back into Mexico. The cycle of smuggling drugs into the U.S., using the profits to purchase weapons, and smuggling the weapons into Mexico is perpetuated by both the violence occurring in Mexico and the insatiable drug demand in the U.S. NAFTA has effectively increased the flow of goods and people across the border, not only enabling and influx of U.S. firearms into Mexico, but also exacerbating the violence there. This makes the DTOs’ access to weapons critical to their survivability, perpetuating the cycle. The 1994 Free Trade Agreement ushered in Mexico’s single market development plan, which essentially pinned the Mexican economy to the U.S. market. Nearly 80 percent of Mexican exports were destined for the United States and the U.S. in turn provides about half of Mexico’s imports. [xi] The Mexican economy’s dependence on the U.S. market has political implications in Mexico, making Mexican policymakers susceptible to pressures from Washington. Analysts suggest that Mexican policies that militarize the drug war and criminalize drugs are an outcome of Washington’s influence. [xii] These policies have contributed immensely to the prominence and violence of the drug trade today. One constant geostrategic component of the U.S.-Mexico relationship is their shared border. Thus, the two countries are natural partners, which is the reason that the institution of NAFTA was practical. This geography also underlies why the United States is the primary market for Mexican drug exports. Since the United States is the hegemon of the international system, Mexico’s policy options to tackle the drug problem are constrained by its neighbor. This is why Mexico has been unable to pursue policies such as drug legalization, which has been occurring elsewhere in the hemisphere. Washington is overwhelmingly more capable of influencing Mexican drug and, more generally, security policy (i.e. the Mérida Initiative) than Mexico is able to influence U.S. drug or gun control policies. Despite a preference for militarized action against DTOs, Mexico and the United States have been unable to produce any new mechanisms to facilitate security cooperation or coordinate cross-border policy through interactions via NAFTA. The U.S. continues to predominantly address the increased drug trade violence and resulting migration by militarizing the border, ineffectively curtailing the passage of drugs and people from Mexico over the border. There have been recent increases in cross-border cooperation, but skepticism persists between Washington and Mexico. Mexico continues to concern itself with the lack of U.S. respect for its sovereignty and the U.S. worries that Mexico is unable to ensure its own security and contain the residual spill-over that may occur across the border. Tony Payan, Fellow and Director of Rice University’s Mexico Center at the James A. Baker III Institute for Public Policy, argues in his book, The Three U.S.-Mexico Border Wars, that in order for security to be achieved, regarding drug trafficking or any other threat, a North American solution must be found. [xiii] This could take the shape of a North American security community. However, unlike the U.S.-Canadian relationship, the U.S.-Mexican relationship has not yet reached a point at which trust in security cooperation is achievable. The development gap, frequently referred to as the North-South divide, emphasizes the developmental, economic, and educational differences between developed countries, primarily in the North, and the developing countries of the South. Bringing the Mexican economy on par with the United States reduces inequality and economic frustration that many Mexicans currently endure. Thus, not only does it mitigate an incentive to migrate north, it will also hopefully decrease unemployment rates and raise wages, consequently limiting the network available for DTOs to exploit and employ in the illicit economy. Still, for any real progress to be made in mitigating the development gap, the United States (and Canada) will need to shoulder some of the burden in pursuit of a more secure North America. One advantage, stemming from the development gap, that the United States does benefit from the cheap labor of around 12 million undocumented workers, primarily from from Central America and Mexico, that the U.S. able to exploit. [xv] Contributing additional economic and technological aid in order to reduce that gap would result in losing that cheap labor force, which the U.S. economy has essentially depended on. However, in the post-9/11 security environment, it has become obvious that Washington prioritizes national security. This priority has been highlighted by the inordinate amount of spending since September 11, 2001 in securing the southern border. Ultimately, a solution to the problems caused by DTOs must be a comprehensive, North American one. Inequality and poor governance in Mexico has been exploited by the DTOs and exacerbated by NAFTA. The amount of trade and flow of people over the U.S.-Mexican border has become impossible to thoroughly regulate. While it is important to control the border, identifying and addressing structural problems at the root of the drug trade is of greater importance. Reducing the development gap between Mexico and the rest of North America and increasing the average income of both ordinary people and public officials in Mexico diminishes the network from which the DTOs are able to recruit. Domestically, Mexico must promote infrastructure development projects that aim to connect the most impoverished regions of the country, which are largely outside the influence of the state and susceptible to DTO influence. Through connecting these areas to the state, the federal government can foster targeted social service provision. Still, the U.S. and Canada must become more invested in promoting development in Mexico, especially given Mexico’s poor economic growth, as their aid now directly correlates to their increased security in the future. [xvi] In turn, this helps to satisfy Washington’s concerns about illegal immigration and violent spill-over by reducing inequality and increasing public security in Mexico, seeking to eliminate incentives to migrate north. Even though NAFTA has increased trade between the United States and Mexico, it has failed to deliver on the benefits that its proponents promised. Instead, NAFTA has unintentionally, or through the negligence of those championing the free trade agreement, benefitted the DTOs. Not only has NAFTA exponentially increased border traffic, allowing the probability that drugs passing across the border to shrink, but it has made the smuggling of weapons back into Mexico easier as well. The increase in weapons being purchased in the U.S. and smuggled back to Mexico for the DTOs to carry out plomo in pursuit of political capital. This analysis argues that a North American solution is necessary to resolve the problems that the hemisphere is facing as a result of the drug trade. Reducing the development gap between Mexico and the rest of the hemisphere is critical to mitigating the power of the DTOs. The inequality and economic frustration that the Mexican people experience allows the DTOs to exploit these networks and recruit people to work in each point on the supply chain (i.e. production, transportation, distribution, security, etc.). Higher rates of unemployment and higher salaries will encourage more people to participate in the licit economy as opposed to the illicit one to which many turn to today in order to obtain the necessary resources to survive. Support from the United States and Canada will be required to foster the development of their southern neighbor. Increase investment in Mexico’s development directly correlates to the mitigation of U.S. security concerns, such as illegal immigration and the spill-over of drug related violence. However, the North American countries must reflect on their past and current policies to realized that they have largely failed to effectively curtail the drug trade and its related security problems. The three partners must collaborate to ensure that Mexico invests efficiently in programs that build the necessary infrastructure to connect the poor regions with the state. This interconnectedness within Mexico combined with the provision of targeted social services to those must vulnerable to DTO influence must be cornerstones in the North American plan addressing the drug trade. [i] Jorge G. Castañeda, “NAFTA’s Mixed Record: A View from Mexico,” Foreign Affairs, January/February 2014. [ii] Peter Andreas, Border Games: Policing the U.S.-Mexico Divide, Second Edition (Ithaca: Cornell University Press, 2009), 58. [iii] Scott Stewart, “Mexico’s Cartels and the Economics of Cocaine,” Stratfor Security Weekly, January 3, 2013. [iv] Estimating Illicit Financial Flows Resulting from Drug Trafficking and Other Transnational Organized Crimes, Research Report (Vienna: United Nations Office on Drugs and Crime, 2011), Preface. [v] Michael Kenney, “Turning to the ‘Dark Side’: Coordination, Exchange, and Learning in Criminal Network,” in Networked Politics: Agency, Power, and Governance, edited by Miles Kahler (Ithaca: Cornell University Press, 2009), 88-89. [vi] Bureau of Transportation Statistics, “Border Crossing/Entry Data: Time Series Analysis,” accessed February 11, 2015, http://transborder.bts.gov/. [vii] M. Angeles Villareal, “U.S.-Mexico Economic Relations: Trends, Issues, and Implications,” Congressional Research Service (July 1, 2014): 2-3. [viii] Robert Bonner, “U.S. Customs Overhauling Trade under Terrorist Threat,” Testimony Before the Senate Committee on Commerce, September 9, 2003. [ix] Andreas, Border Games, 22. [x] Tony Payan, The Three U.S.-Mexico Border Wars (Westport, CT: Praeger Security International, 2006), 61. [xi] United States Department of State, “U.S. 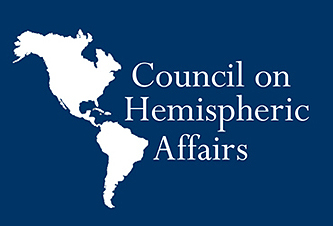 Relations with Mexico,” Bureau of Western Hemisphere Affairs, Fact Sheet, September 10, 2014. [xii] Luis Astorga and David A. Shirk, “Drug Trafficking Organizations and Counter-Drug Strategies in the U.S.-Mexican Context,” Center for U.S.-Mexican Studies at the University of California – San Diego (2010): 26. [xv] “Unauthorized Immigrant Population Trends for States, Birth Countries and Regions,” Pew Research Center, Hispanic Trends, December 11, 2014. [xvi] Mexico’s annual GDP growth was about 4% in 2012, but fell to 1.1% in 2013. While it increased to around 2.1% in 2014 it is still below the forecasted growth for that year. See “Global Economic Prospects,” The World Bank. Additionally, Mexico’s Central Bank has now cut its 2015 GDP growth forecast twice leading to the current prediction of between a 2.5-3.5% growth. See Eric Martin and Brendan Case, “Mexico Central Bank Cuts ’15 GDP Forecast for Second Time,” Bloomberg Business, accessed March 3, 2015, http://www.bloomberg.com/news/articles/2015-02-18/mexico-central-bank-cuts-15-gdp-growth-forecast-for-second-time.